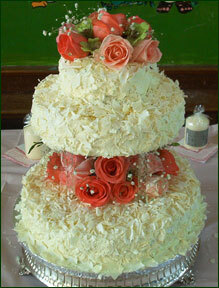 Wedding cakes that taste as exceptional as they look! 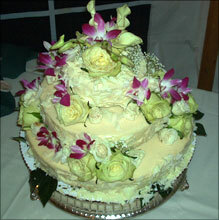 It is always gratifying for us to hear from our brides and couples about the many compliments received from their guests about their unique cake. 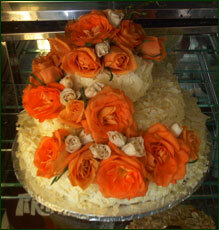 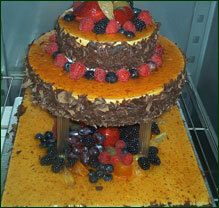 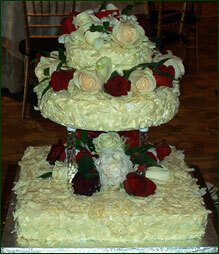 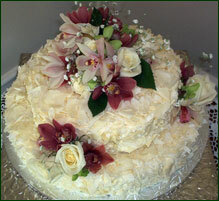 Our French-style cakes make utterly delectable wedding cakes. 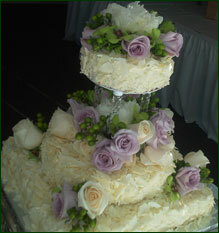 The fresh blooms adorning these cakes contribute to a graceful, romantic wedding experience. 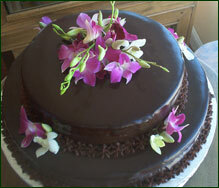 For some of our flavor selections, please review our tortes page. 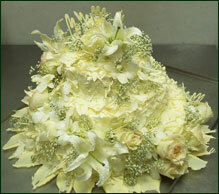 An appointment is required with the chef/owner to make a wedding order.